So what is the composition of Moon dust? How is the moon surface analysed remotely and what has been discovered? What does this information tell us about the evolution of our Moon? Come along to find out. The Costa Blanca Astronomical Society is very pleased to welcome Dr. Katherine Joy as the next presenter in our series of public talks. Katherine gained her PhD in Planetary Sciences from the University College, London researching the evolution of the Moon based on sample analysis and remote sensing techniques. 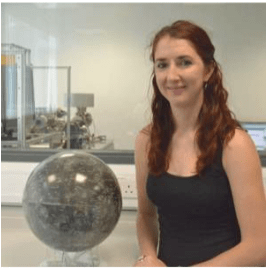 As a Postdoctoral fellow for the NASA Lunar Science Institute, she analysed Moon dust to explain the Moon’s history of bombardment. She is currently a senior lecturer at the University of Manchester. For more information: email cbastronomy@gmail.com or call 671 152 686.